Even if it doesn't always feel like it, Chicago is a melting pot. I mean you have a summer dedicated to celebrating various cultures and ethnicities--that kind of community is something I'll forever be grateful for. First of all...the food. 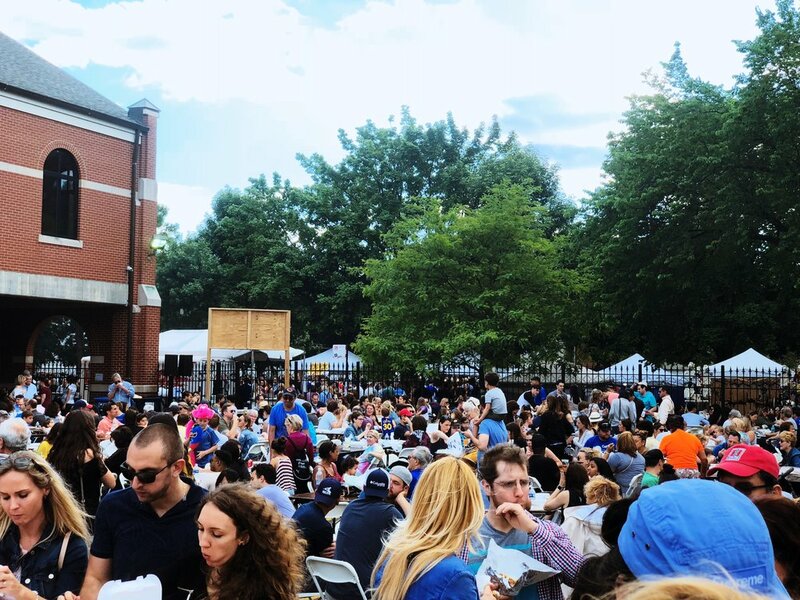 If fests aren't your thing, come for the food alone. 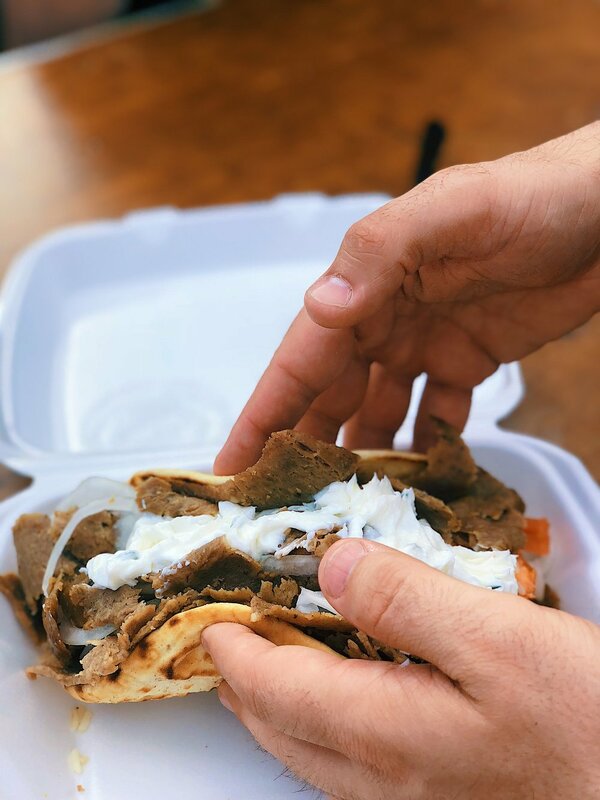 We grabbed a gyro & a souvlaki plate--I'm still drooling just thinking about it. I don't even usually eat meat, and we ate the entire thing it was so good. Don't judge me--try it for yourself next year. Then, I know I keep gushing, but the community! Greek or not the hosts of the festival encourage everyone to be "Greek for a day," and people from the city to the suburbs come in droves to experience the fest. While waiting in line for our food I see the guy I went to grade school with behind the counter and later run into my sorority sisters while seeing other familiar faces along the way. I say it time and time again, but Chicago is truly such an amazing place. 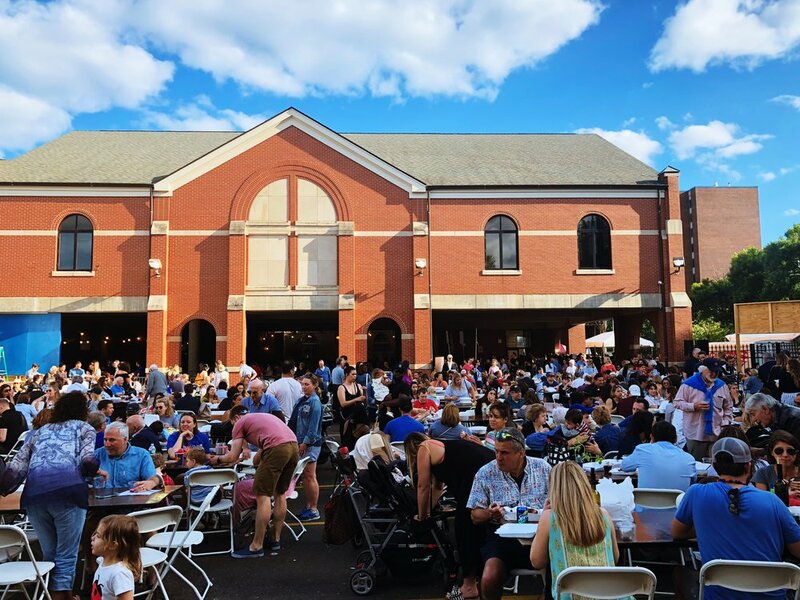 Located on the grounds of St. George Greek Orthodox Church in Chicago's Lincoln Park neighborhood & hosted by St. George Greek Orthodox Church and the Lincoln Park Greek Community.